Dr Bubble Halloween is a classic bubble shooting game in which you have to form groups of 3 or more Microbes to clear the board entirely. In the challenge mode, you will be faced with increasingly difficult levels as you progress. 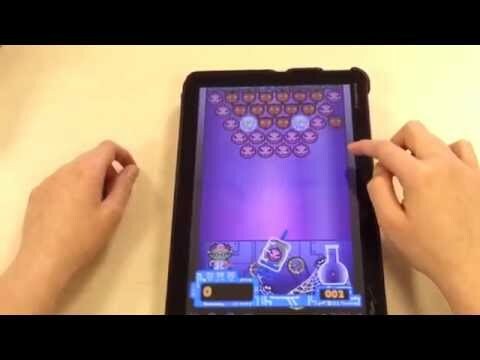 You will try to strategically shoot the microbes at the right spot and create the right combinations to clear any given level and move on to the next level for more bubble shooting. In the survival mode, you will challenge yourself to beat your bubble shooting record. One given score is awarded based on the number of microbes you pick. Will you be able to get a top score with 10 microbes ? The 2 microbes option is great for kids who want to enjoy the stuning design and gameplay. All throughout the game, you will be given the choice to either play the game in classic mode or extreme mode. The extreme mode includes bonuses and maluses which can make it even more challenging.